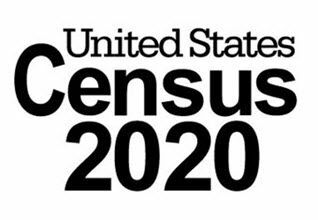 EDINBURG — Three border counties in Texas, including two in the Rio Grande Valley, are leading the state’s fight against the federal government’s decision to include a citizenship question on the 2020 census. Hidalgo, Cameron and El Paso counties joined 31 other plaintiffs in an amended federal lawsuit Monday against the U.S. Department of Commerce, Secretary of Commerce Wilbur L. Ross Jr., the Census Bureau and its director, Ron. S. Jarmin. Commerce Secretary Wilbur Ross announced last month that the citizenship question would be added to the census in response to a request from the Department of Justice, which asserted the question is needed to enforce the Voting Rights Act. The Commerce Department oversees the Census Bureau. At least 18 states and a number of other governmental jurisdictions have joined the lawsuit — currently spearheaded by New York State Attorney General Eric Schneiderman — but Texas isn’t one of them. “We have to do what’s best for Texas, because the Texas leadership won’t do it,” said San Antonio attorney Rolando Rios, who is representing Hidalgo and Cameron counties in the case. Rios visited both South Texas counties Tuesday morning, informing their respective leaders about the amended petition filed Monday in the U.S. District Court in the Southern District of New York. All three counties have similar demographics, with a large percentage of residents who are foreign-born, Hispanic and/or undocumented. They each worry the inclusion of the question could result in a larger undercount. The lawsuit calls the move an “unconstitutional and arbitrary decision” and alleges the question will deter participation, undermine the count and ultimately harm the plaintiffs. It also argues the government failed to adequately test the question’s inclusion, disregarded stakeholder concerns and failed to justify the changes in its hurried decision. The lawsuit lists potential cuts to critical programs such as special education grants and Title 1 funds for school districts. Last year, Brownville schools received more than $30 million in Title 1 funding, while Edinburg and McAllen schools received $17 million and $11 million, respectively. Census population figures are also used to determine the congressional seats, and Texas is expected to gain representatives as a result of growth. The lawsuit’s plaintiffs say an undercount could weaken the state’s representation. “We could end up with two congressional districts instead of three,” Rios said. The federal government now has 60 days to respond to the amended petition.